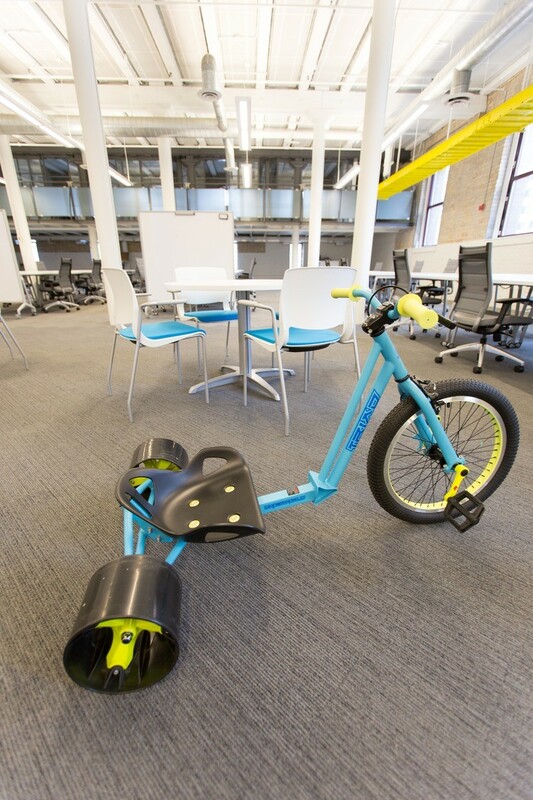 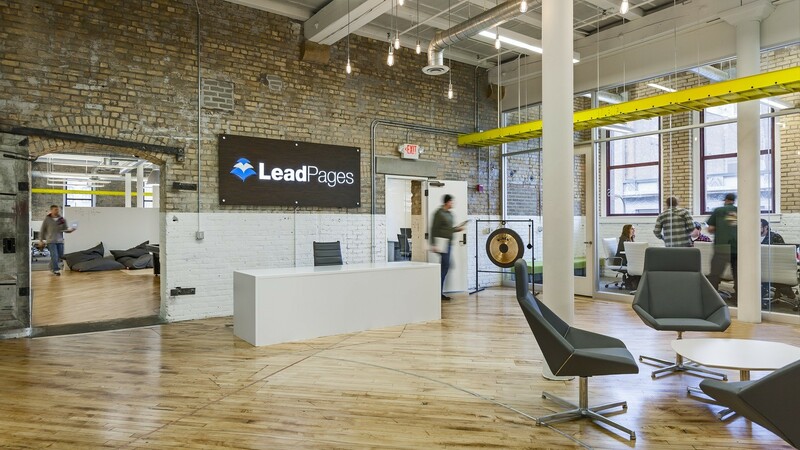 LeadPages, a tech company founded in 2013, celebrates the McKesson Building’s historic architecture in downtown Minneapolis with modern office planning. 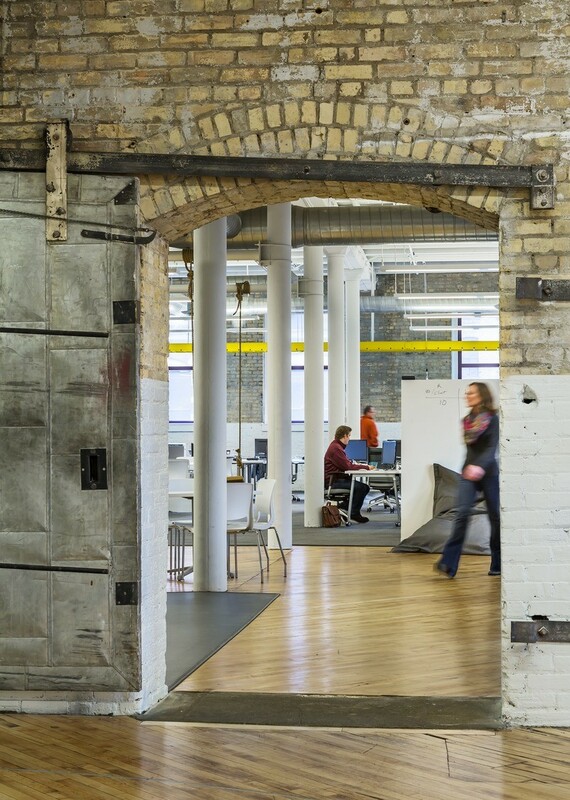 A light-filled lobby with original hardwood floors, rustic brick walls, exposed wood beams, and vintage fire doors leads to an open, free-address workspace and bright-white conference rooms. 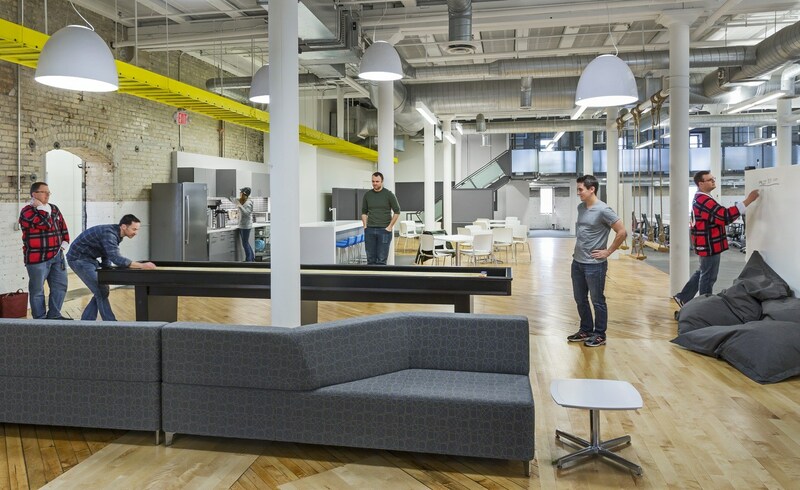 Workstations consist of movable tables with casters and flexible power solutions while a subtle diagonal carpet pattern accentuates a sense of movement. 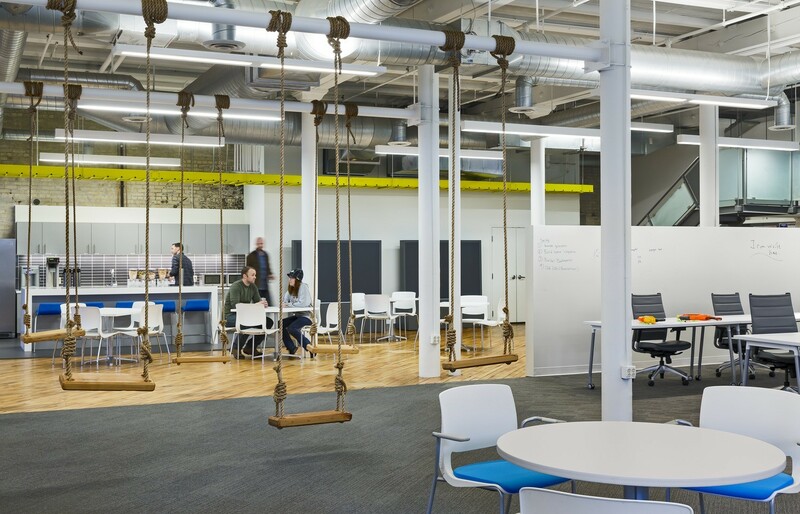 Infused with a spirit of fun to attract and retain talent, the office features a kegerator, games, informal seating, and a collaborative “swing space” with reclaimed wood board swings suspended from the ceiling with rustic rope.